Earlier this year, we ran a competition for fans to design a Weapon Skin for the chance to have it immortalized in Gears of War 4. Our creators had the opportunity to enter two categories - an eSports Lancer design or Community Gnasher design - and one from each would be make it into Gears 4. However, the quality of the entries we received were SO good that we picked 4 weapon skins from each category to be created! Today, we're excited to show the first 4 of these amazing designs as they appear in Gears of War 4! Each Weapon Skin is named after their creator to fully immortalize their creation as their own - and we'll be giving them to fans for free through a variety of different methods. Read on to see the creations in-game now and how you can add these works of art to your own collection. 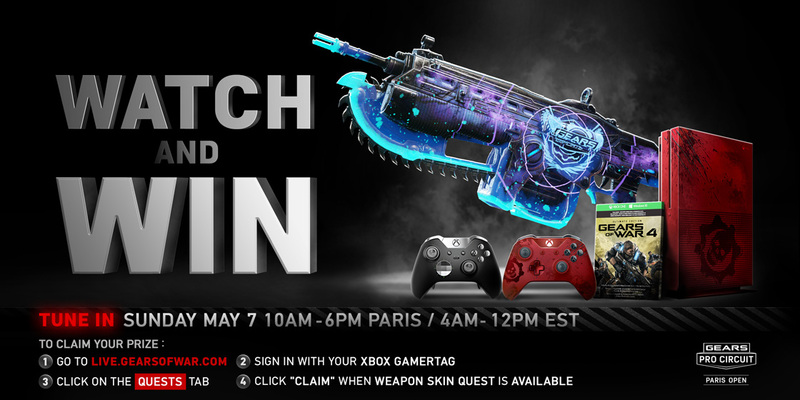 How To Earn: Watch the Gears Pro Circuit Paris Open on Sunday May 7th via live.gearsofwar.com. Sign in with your Xbox Live Gamertag, hit the Quests Tab, then enjoy some amazing Gears eSports action while you wait for the Quest to activate. Once it activates, complete the Quest to claim the Weapon Skin! 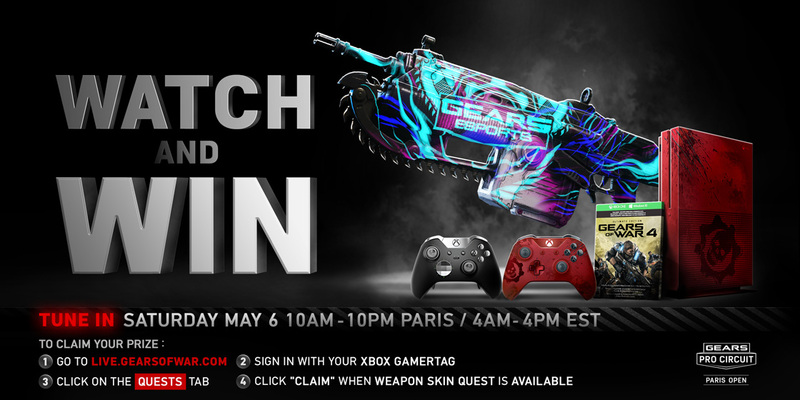 How To Earn: Watch the Gears Pro Circuit Paris Open on Saturday May 6th via live.gearsofwar.com. Sign in with your Xbox Live Gamertag, hit the Quests Tab, then enjoy some amazing Gears eSports action while you wait for the Quest to activate. Once it activates, complete the Quest to claim the Weapon Skin! 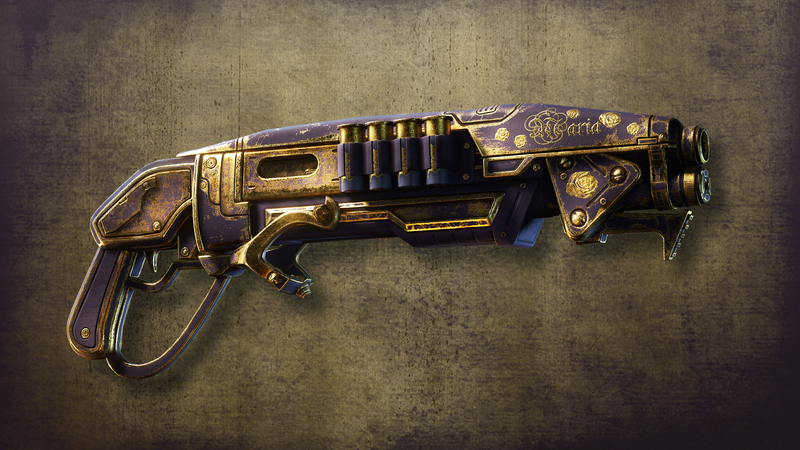 How To Earn: Login on May 26th during the Gnashers-Only King of the Hill Event to claim this Maria Santiago themed Weapon Skin! 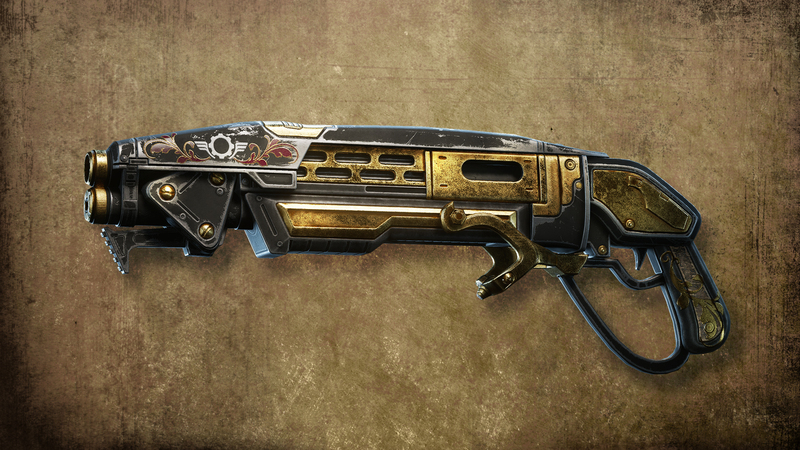 How To Earn: We'll be announcing details on how to earn I AM AD0PTED's Veteran Gear Gnasher in the near future. All our selected winners have received the Gears Honor emblem, adding them to the list of a select few who have earned the right to proudly display this in game. Our winners are also using their weapon skins in-game before anyone else as we speak! Thanks again to all the amazing Gears creators who submitted designs for this contest. There's still 4 more incredible designs coming to the game from this competition, and we can't wait to see them come to life. 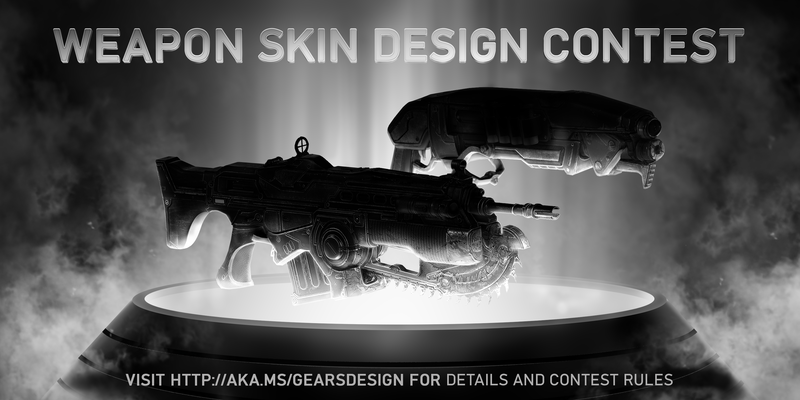 The winners of our Gears of War 4 Community Weapon Skin Design Contest has been selected! Find out the winners in this article.